I’m excited to be participating in this blog tour about the writing process for two reasons: 1) I’m following up Michelle Knudsen, the amazing author of Library Lion, The Dragon of Trelian, Big Mean Mike and many more, including one I’m dieing read, Evil Librarian (seriously, how can it get better than that?) and 2) I LOVE talking about writing, especially hearing about other people’s tricks and techniques. That’s why a blog tour like this is so great. Through the links on the tour, it’s like getting into the writing heads of the best. I strongly encourage you to explore the other posts on the tour starting with Michelle’s. I just finished a revision of my latest young adult novel, a time travel romance that has been a lot of fun to write. There’s a brother and sister named after Roald Dahl books (any guesses which ones? ), a nurse who’s addicted to Tootsie Rolls and a guy from the future who’s got really bad taste in t-shirts. Oh, plus the future guy has come to the past to save a 12-year-old boy who will grow up to be the President from terrorists who are trying to murder him, and our hero needs help from our heroine, of course. Read the full description on my Coming Soon page. Ooh, that’s a good question, and it’s not easy to answer. I write about real-world teens in not-so-real-world situations, but lots of writers do that. I write about time traveling characters, but lots of people do that. My time travel novel also has lots of mystery and romance, but all good stories are infused with other genres. I think what stands out in my work is emotion (I love scenes and plot twists that tug on heart strings) and pacing (if a scene bores me, it gets rewritten until it doesn’t). But, that’s not to say that other writers don’t do that too, they just don’t do it like me, with my characters and my stories. Ever since I was a kid, I’ve loved stories that take me to a different world or a different time. The Lion, The Witch and the Wardrobe is my all-time favorite book, and when I was a kid, I was so jealous of anyone I knew who had brothers and sisters in the same pattern as the Pevensies, because then maybe they could go to Narnia. As an only child, I had no hope of that, but I wished for it anyway. And, I was never that interested in characters who are “the one,” destined to do some incredible thing. Even though I do love Harry Potter, I can identify more with characters who are normal people thrust into extraordinary circumstances, like The Hunger Games’ Katniss. Batman was always my favorite superhero for exactly this reason. He didn’t have any powers (if you don’t count his money, which helped him buy some fantastic gadgets). All my stories have these aspects, ordinary teens with no pre-destined future who get caught up in something that’s definitely out of this world. And the reason I write them is because I want to think that I, a completely ordinary person, could be the teen in my story, facing something that I will never see in this world but would love to. I used to be a pantser, with one caveat: I had to know the end before I started. The end might change, but I always had to know where I was heading. But the more books I wrote, the more I saw the value of having a bit more of a plan. My plan solidified for me when I watched Dan Well’s Story Structure videos on YouTube. Dan sets out a seven-part arc for characters, and I love that because it gives me a few more points to head toward but enough space in between to let my characters play. Although I’m sure it’s still evolving, my current writing process starts out with me working out a basic idea of the main characters, the problem and goals. I brainstorm the points in Dan Well’s structure, then I start writing, heading toward the next point in the arc (or arcs for multiple characters). But mostly, I let the story and characters dictate the action, checking in with my arc to make sure I’m not getting too off track. Along the way, I learn even more about my characters, their problems and the story as a whole. And usually, around the middle of the first draft, I figure out that my arcs need some tweaking. So I stop writing, revisit the structure, make as many changes as needed, then save my document as draft 2 and go back to the beginning. Yep, my first draft is usually not complete. But my second draft is. And the story’s in much better shape. From there, I let the book rest for a bit while I work on something else, then I go through it again, making sure it all makes sense, has no loopholes, no pacing problems or any other problems, and generally, I’m pretty happy with it. The final draft, before anyone else sees it, is a read-aloud, where I make sure there’s nothing I missed — and nothing that bores me. I figure, if I’m still interesting, after all the work I’ve done on it, it shouldn’t bore readers who haven’t read it yet. But that’s put to the test next, when the manuscript gets its first readers. After I get their notes, I make changes and go through all those rounds of revisions again. I do this until the book is the best it can be and tells the story I want to tell. My good friends Bethany Hegedus and Donna Bowman Bratton. Bethany Hegedus‘ books include Truth with a Capital T (Delacorte/Random House), Between Us Baxters (WestSide Books) and the amazing picture book Grandfather Gandhi (Atheneum/Simon & Schuster). 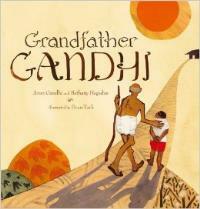 Co-authored with Arun Gandhi, grandson of the Mahatma, and illustrated by Evan Turk, Grandfather Gandhi has received starred reviews from Publisher’s Weekly and Kirkus. 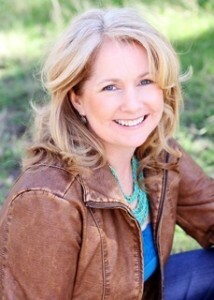 Bethany has served as the Hunger Mountain Young Adult & Children’s Editor since 2009. A graduate of the Vermont College of Fine Arts MFA program in Writing for Children & Young Adults, Bethany is the Owner and Creative Director of The Writing Barn, a writing retreat, workshop and event space in Austin, Texas. A former educator, Bethany speaks and teaches across the country. Donna Bowman Bratton is a Texas author who has made three new year’s resolutions to start her novel, but has been unable to tear herself away from fascinating true stories. Her love of nonfiction expanded into the blog Birthdayographies.